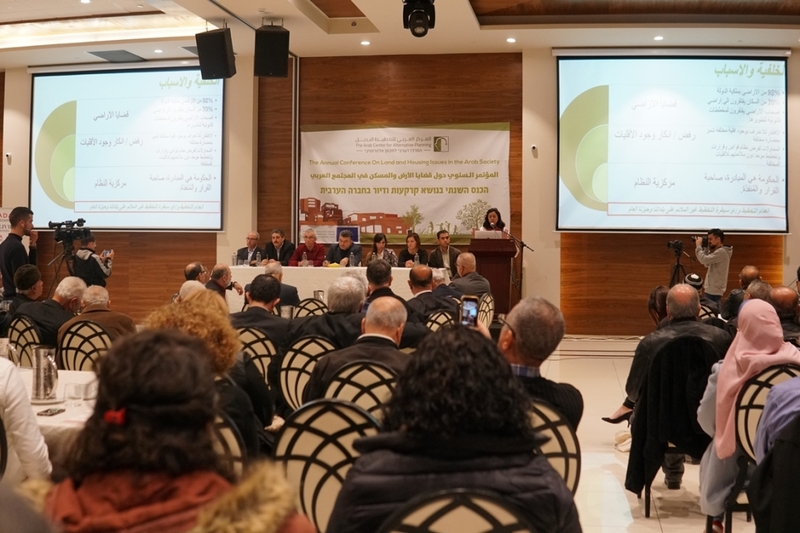 Our 18th annual meeting focused on cooperation between professionals and the public to strengthen public committees and face the challenges posed by government solutions to the housing crisis in Arab towns. 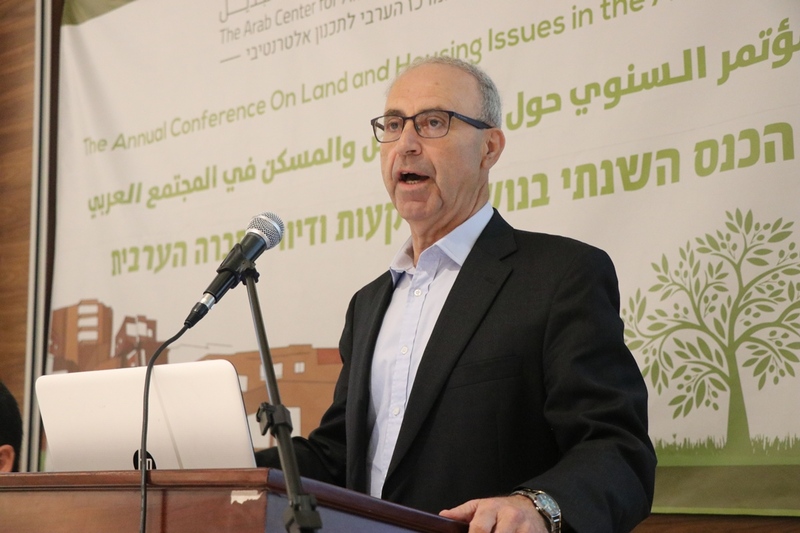 The Arab Center for Alternative Planning (ACAP) held its 18th annual conference on land and housing issues, in cooperation with the High Follow-up Committee, the National Association of Arab Mayors, and the Mossawa Center, in the esteemed presence of and the participation of a large number of members of the Knesset, heads of local authorities, activists, and members of public committees from different regions. ACAP Director Samer Swaid opened the conference by welcoming guests and participants. 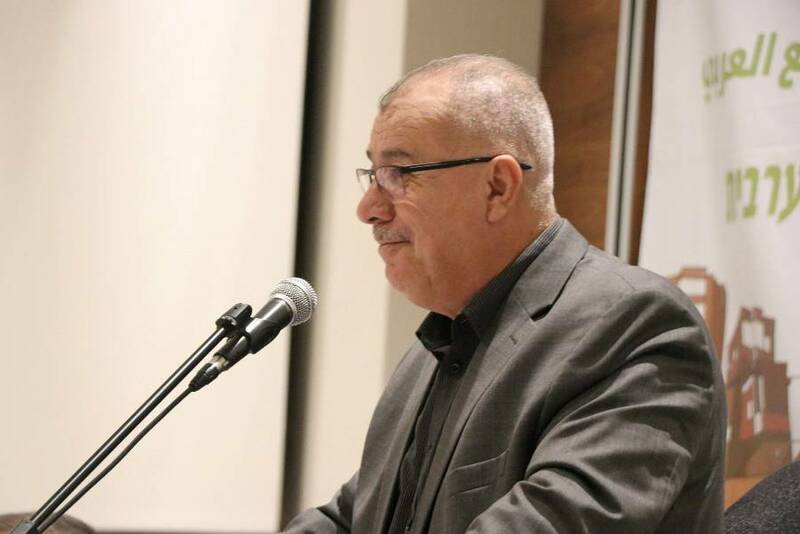 He stressed that ACAP will continue to support the work of the public committees, and monitor information and housing projects in order to challenge discriminatory policies towards the Arab masses and communities. Swaid acknowledged criticisms of the decision not to address the issue of the Naqab during this particular conference, but stressed that ACAP actively engages and deals with issues facing the Naqab throughout their many projects, and noted that last year's 17th annual conference included a special session on displacement and the lack of planning and recognition of Arab villages in the Naqab. 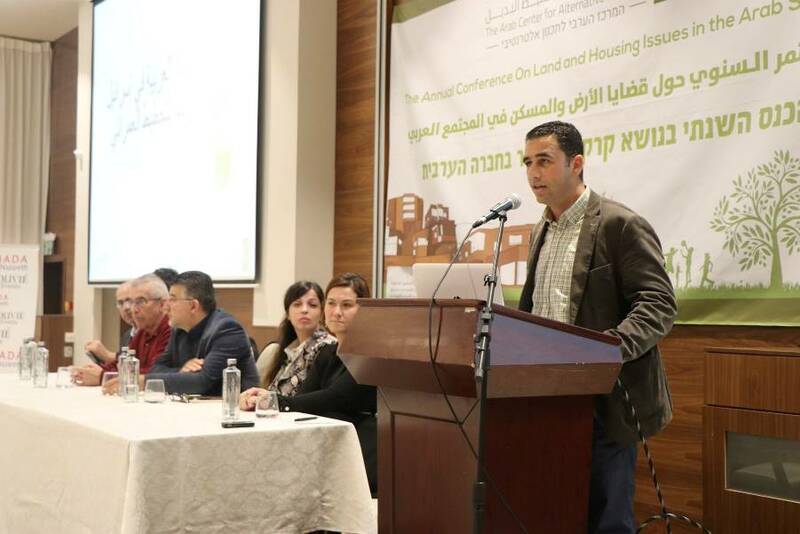 ACAP board member Tariq Shabaita emphasized the ongoing need to strengthen, defend, and secure our legitimate land and housing rights—basic rights that must be guaranteed by the state to all its citizens. ACAP continues to work towards achieving equality in land and housing rights in cooperation with all organizations, institutions, and communities in our homeland. 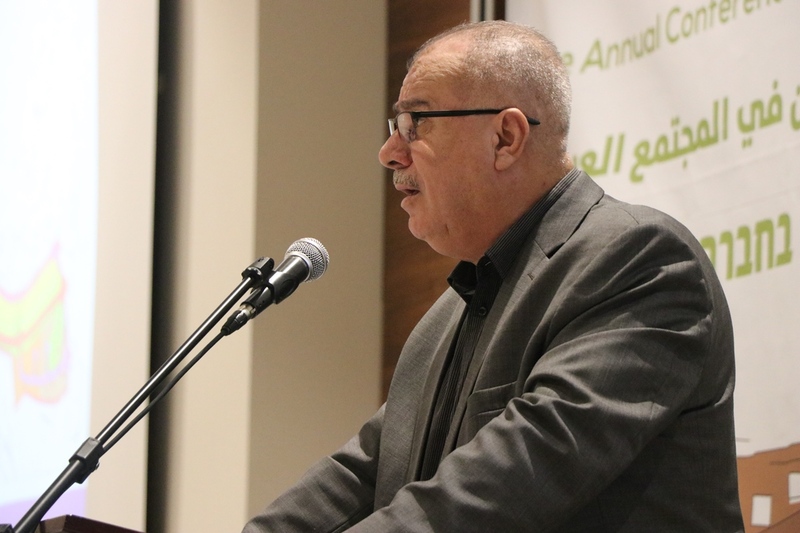 Chairman of the Follow-up Committee Mohammad Barakeh underscored the importance of convening the conference, highlighting ACAP's pioneering and ongoing work to strengthen our Arab towns. 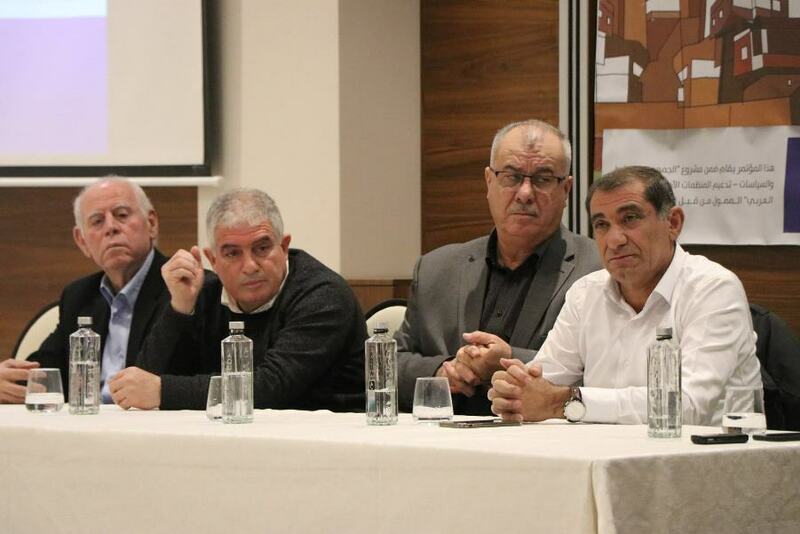 This work, Barakeh asserted, is an organic part of the struggle of our society and our people. 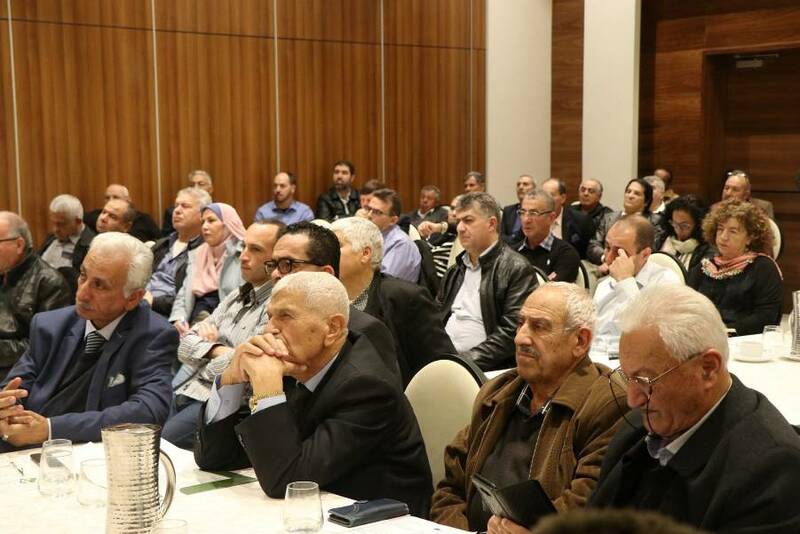 Barakeh addressed the latest events in the process of sabotage and destruction in the Qastal area of Saffuriyya, and in professional development conferences convened by the Follow-Up Committee, emphasizing the importance of advancing skills and professional efforts in the field of land and housing. 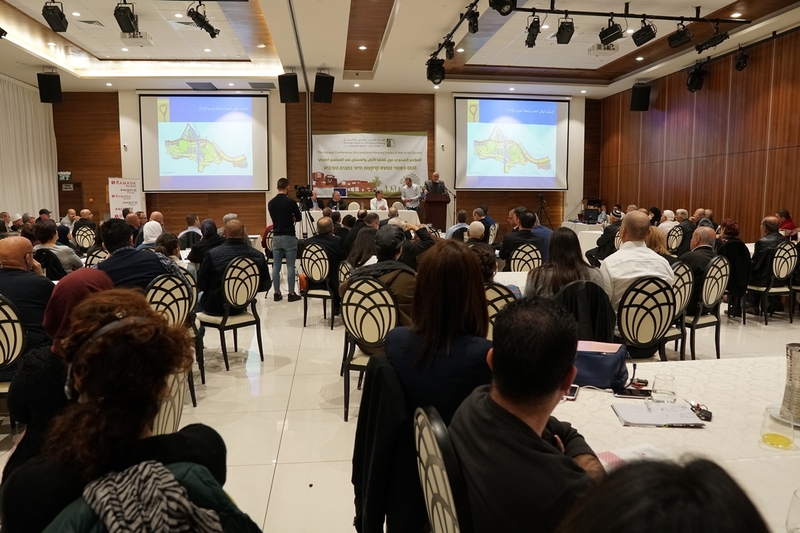 Regarding the lack of available land for construction placing increasing pressure on Arab towns, Barakeh asserted that such conditions are not the result of neutral procedural ordinances, but of direct and systematic policies that tighten the screws on our communities. The ramifications of such unjust policies can be felt across many social issues, including violence, security and community safety. 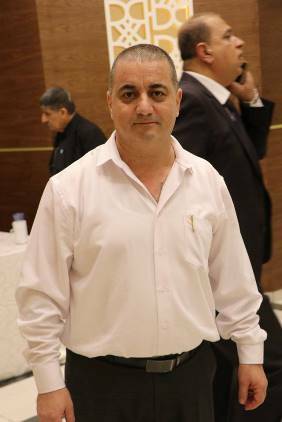 Barakeh also expressed his appreciation for the planning survey that ACAP is preparing in order to document the destroyed villages. The mayor of Tamra, Dr. Suhail Diab, extended congratulations to the heads and members of elected local authorities, and stressed the importance of dealing professionally with the critical issues of land and housing that affect every municipality and locality, and of remaining steadfast in our demand for rights as equal, not second-class, citizens. He called on the heads of the local authorities to conduct detailed follow ups on the master plans being drafted by planning and building departments, and on the latest developments at the regional committee level. 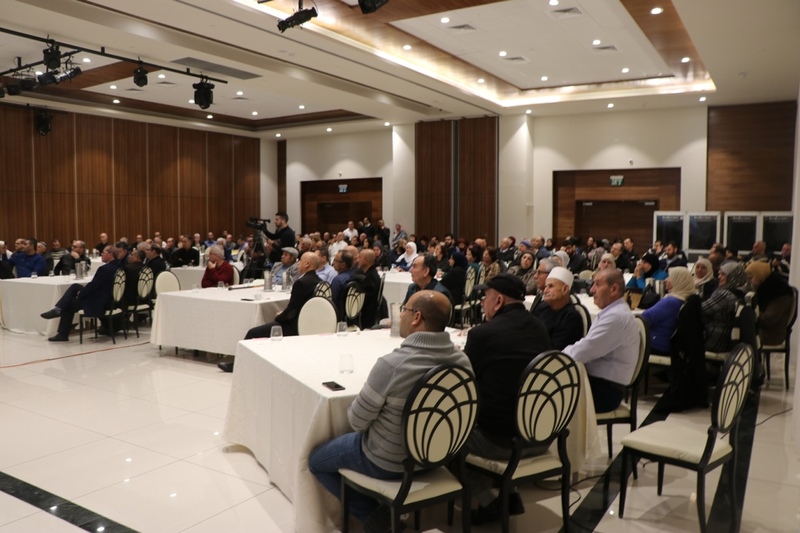 Further, Diab encouraged local authorities to knock on the doors of government ministries and officials and demand accountability in order to ensure better administration of our towns. Finally, Diab outlined the various planning schemes for the city of Tamra, and the obstacles impeding their implementation. The disregard for the rights and entitlements of our towns must be met with force and audacity, because we possess rights, said Waheeb Hbeisch, the mayor of the Yarka Council. 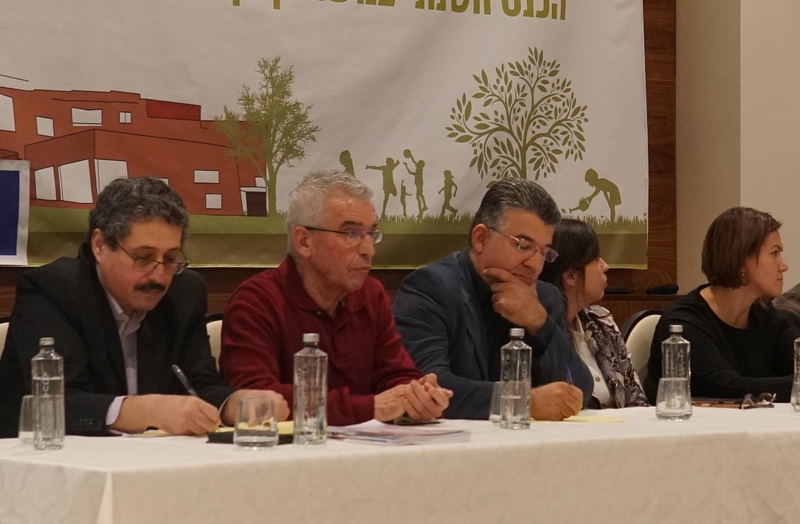 He spoke of efforts to halt private developments in the village of Yarka, and stressed that so long as rights are exercised, they are not lost. Hbeisch called for attention towards the multitude of existing and ongoing planning and building issues, because these issues concern and affect all members of the community. Involve the public in planning effectively! 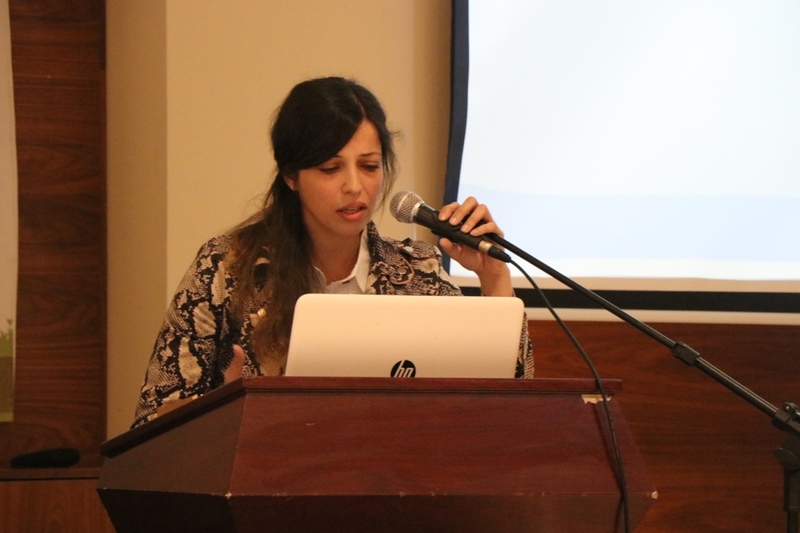 During the first session, entitled "Strengthening the partnership between the public and professional communities – strengthening grassroots organizations", ACAP urban planner Hiba Bawardi presented a working model to bolster public participation in local planning, and to empower the public by providing the right tools and mechanisms to meaningfully engage in planning processes. She went on to discuss how decision-making circles in the early stages of planning fail to involve the Arab community in these processes in a serious and professional manner. A number of steps have been proposed to encourage public involvement by raising community awareness on planning issues and encouraging receptivity to change. These steps include enabling local authorities to hold professional meetings to engage the public in planning and monitoring progress in cooperation with professionals from within the community, and pushing the government to adopt these strategies by launching the Ambassadors Planning Project, which provides front-line advocacy for communicating people's needs and engaging them effectively in the planning process. 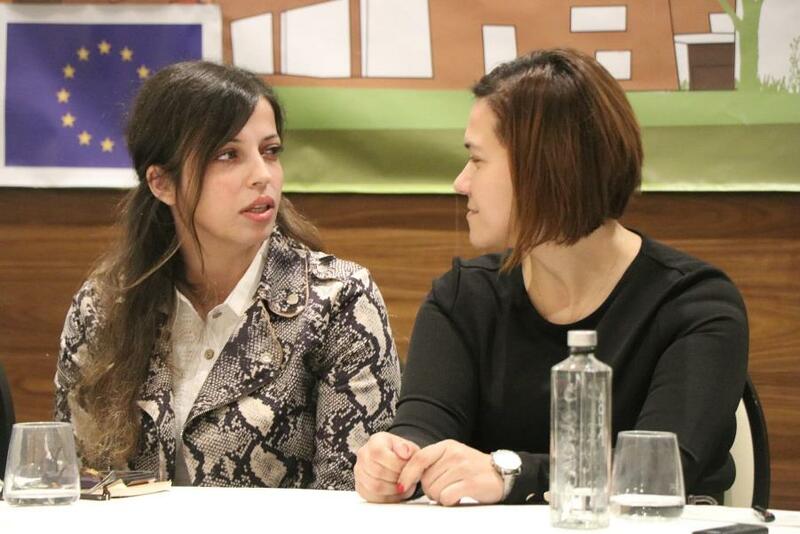 Shadi Khalilieh, Director of Projects and Media at ACAP, spoke about the importance of enhancing the work of the public committees and giving them professional means and mechanisms to be more successful, and to strengthen their community work with more professionalism and organization. He stressed the need to continue working together with the Mossawa Center to enable these committees to forge new paths, to not only play a passive role but to act as proactive leaders and partners in presenting the vision and needs of the population and in defending their land and housing rights. The implications of the Nation State Law—ongoing discrimination! 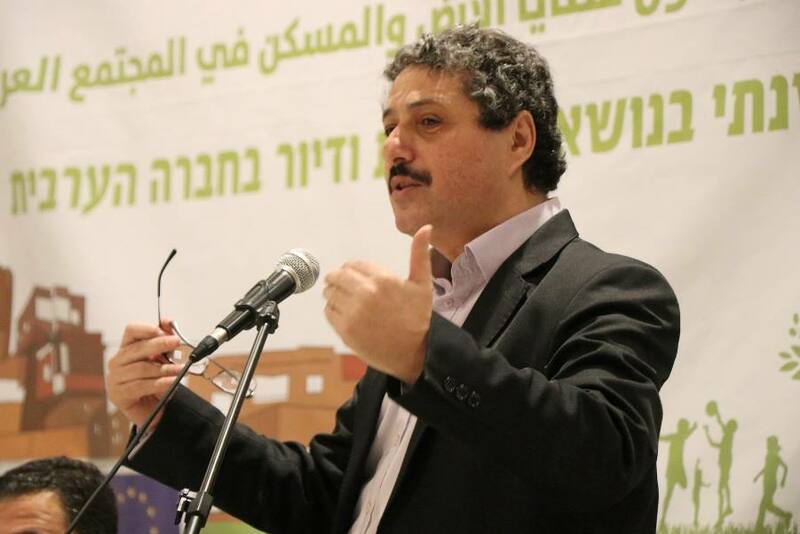 MK Yousef Jabareen, a member of the Joint List, opened his speech by reading Article 7 of the Nation State Law, which refers to the strengthening of Jewish settlement as a national prerogative. Article 7, Jabareen asserted, encapsulates much of what we face in matters of planning, land and housing, contradicts state claims of democracy, and promotes systematic discrimination against the Arab people. Jabareen also stressed that Judaization policies are continually enacted and enforced, citing recent addendums to the Admissions Committee Law that extend the power to enact exclusionary admissions procedures to 700 planned communities, from 400 planned communities. 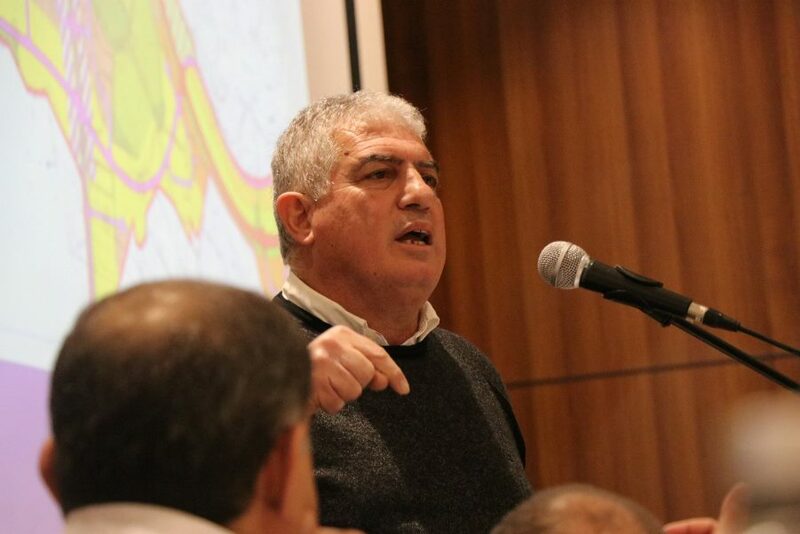 Jabareen stressed the need for professional work that enhances the public and legal struggle around land and housing issues, promotes cooperation between parliamentary efforts and public struggle, and increases communication with and among institutions, official circles, and parliamentary committees. In addition, we must make appeals to the international community in order to highlight the policies of exclusion and apartheid that we continue to challenge, particularly legislation promoting discriminatory Jewish settlement that favor the majority at the expense of the minority, and discriminate against Arab citizens as an ethnic group in this country. 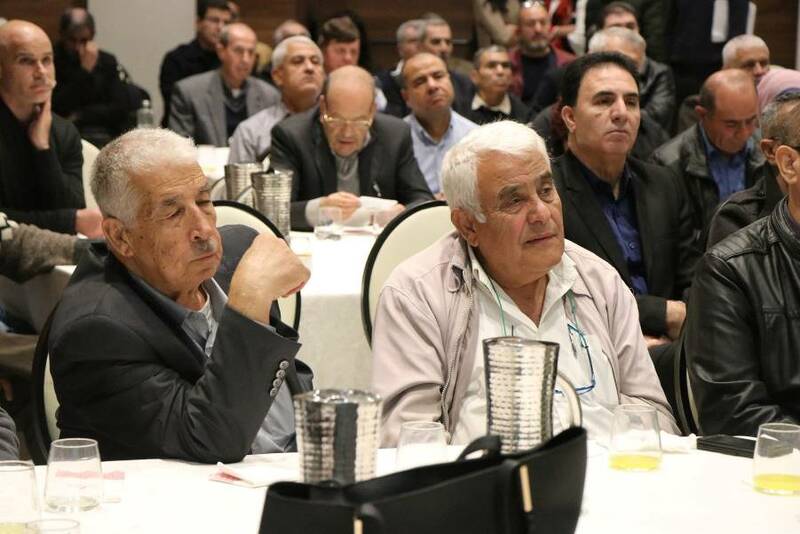 Jaafar Farah, Director of the Mossawa Center, spoke of the Arab community’s successes in the sphere of land and housing issues, the experiences of the Land Defense Committee and the Association of Forty, and building confidence with the masses to face a range of crises and issues. 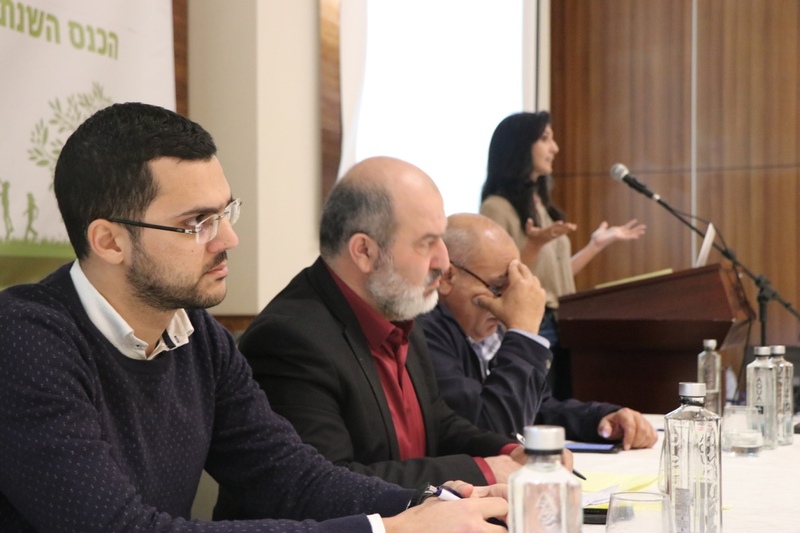 Farah said that the work of public committees must return to a focus on organized community work that engages with and is accessible to as many groups and segments of society as possible. 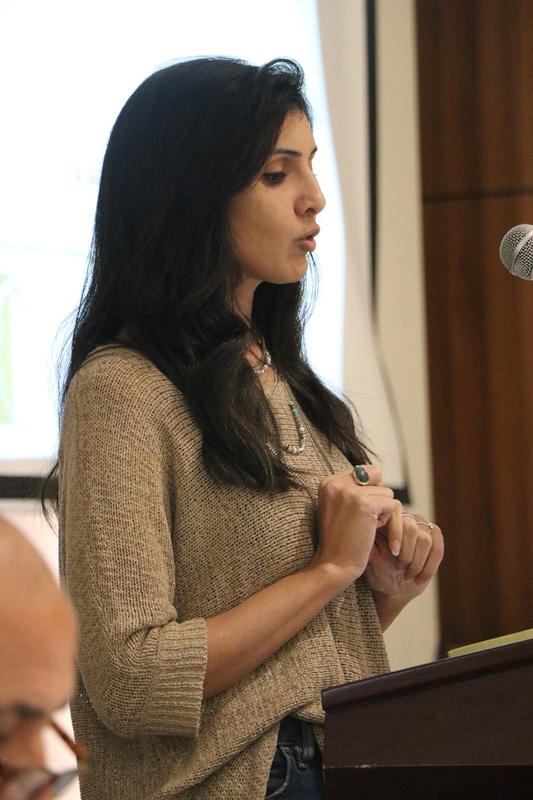 Farah stressed the importance of addressing issues stemming from local and regional planning teams from outside our society being granted the authority to draft and oversee plans in our communities. Huge budgets are allocated to such planning teams that do not involve or consult local community representatives and professionals, and subsequently their plans do not suit the needs of our communities. 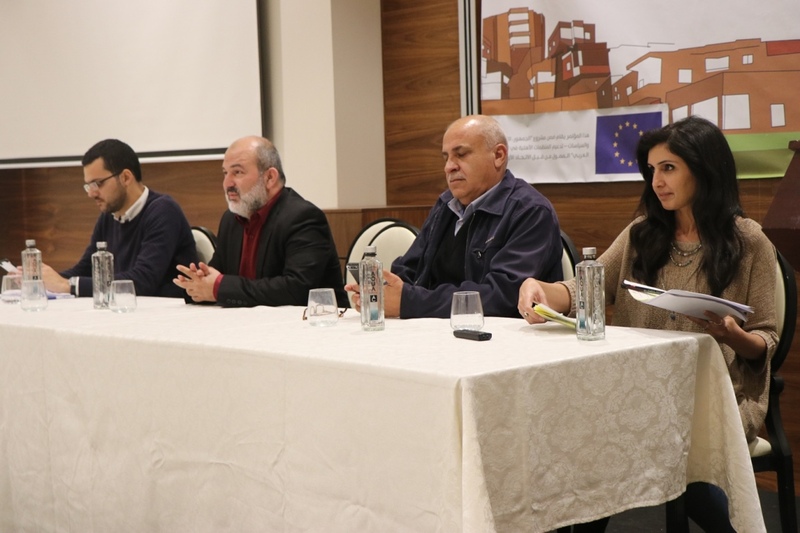 Fidaa Shehadeh, a city planner and a member of the Lod municipality, spoke of the importance of preserving the Arab presence in Lod and in other mixed cities where Arab communities are under pressure of being squeezed out. 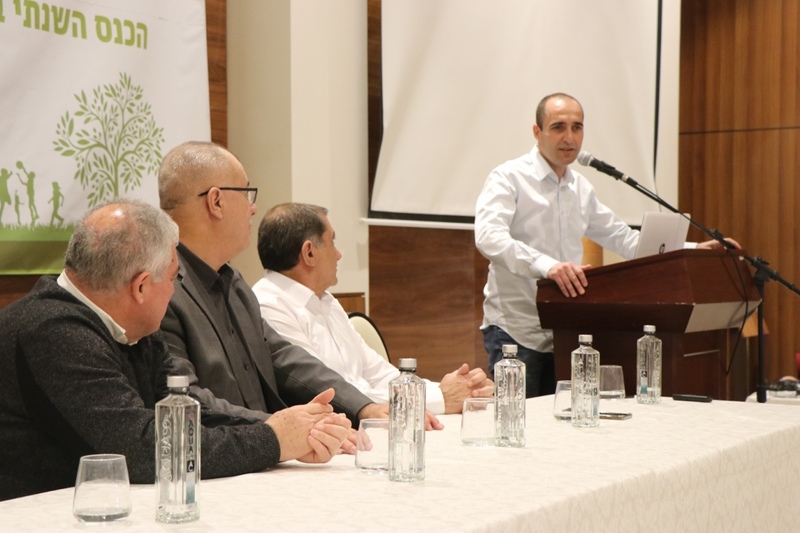 In Lod, the neighborhood of Shneir faces continuous waves of demolitions, and the recent illegal demolition of the house belonging to the Shaaban family sparked a public donation campaign and rebuilding efforts. 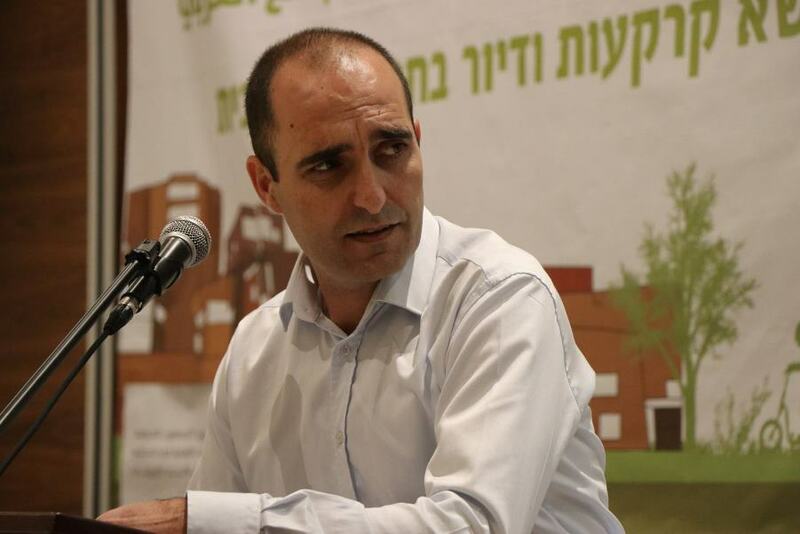 Shehadeh said that the Arab neighborhoods in Lod suffer from neglect and aging infrastructure, and the failure to provide daily municipal services, which leads to difficult social conditions and the increase in negative phenomena and pests, which necessitates promoting public action to confront the policy of discrimination and realize the rights of Arab residents in mixed cities. On its Arab character and adapted to the needs of its people. 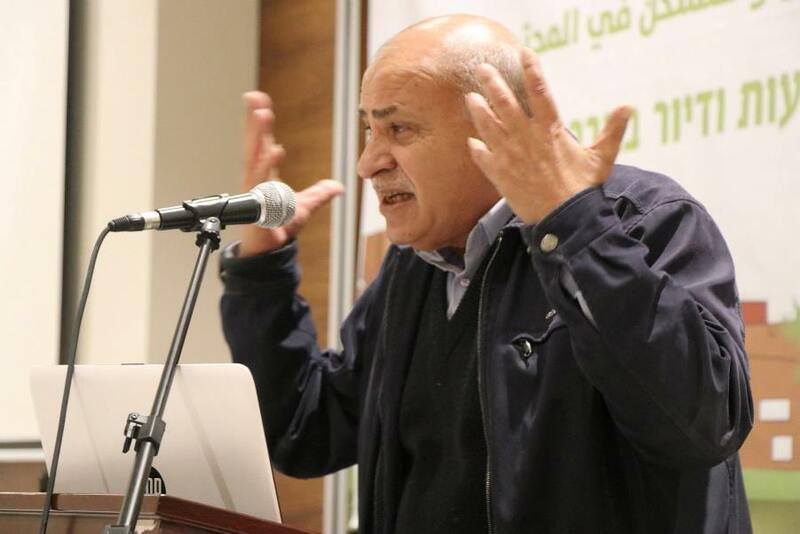 Fahmy Halabi, chairman of the Committee for the Defense of Land and Housing, said there is consensus in the Arab community about the policy of discrimination against our towns and society, especially in the area of land and housing. What are the solutions? How can we confront this policy? The land is the foundation of every development and every being, and we are determined to preserve our existence and to remain with pride and dignity. We have encountered many schemes, accompanied by civil institutions, determined to always uphold our rights, and to mobilize people to stand up and addressed those schemes that encroach on our land. 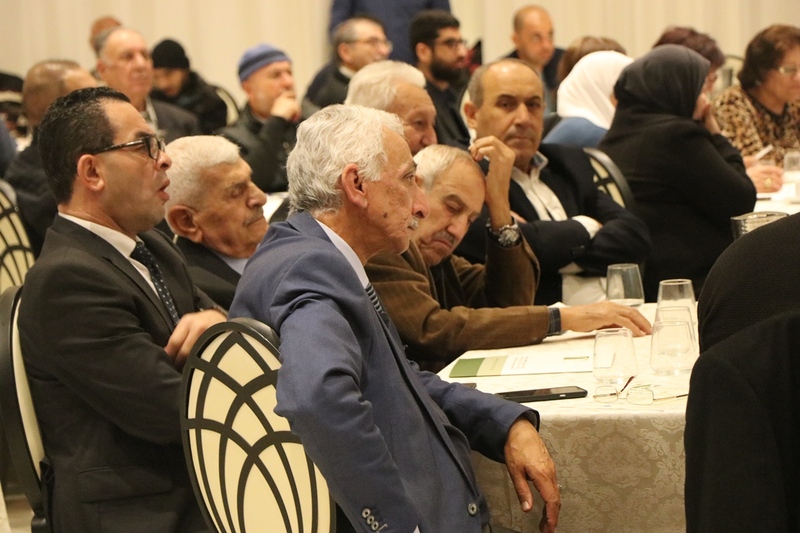 Halabi stressed the need to renew functionality and active recruitment and participation to enable the public committees to access the tools and professional resources needed to effectively follow up on planning issues. Engineer Yasmine Shabaita of the Engineers Committee in Tira recounted the professionalization workshop for the public committees in Tayibe, Tira and Qalanswe, as well as the activities of the Engineers Committee to promote community awareness around planning issues and active participation in local projects. She talked about the approval of the master plan in Tira, the proposed areas for construction and development, and the need to add new residential zones on state-owned public land to allow young couples without private land to build their own homes. 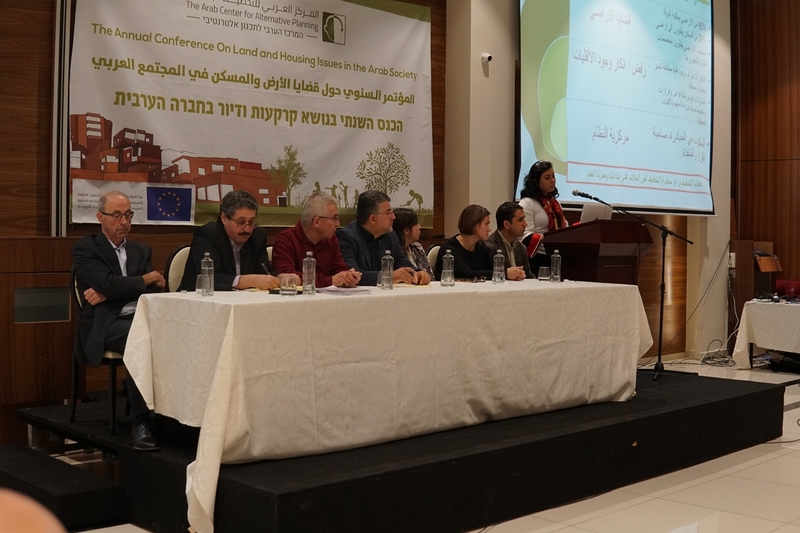 Dr. Hanna Swaid, head of the Arab Center for Alternative Planning, summarized this session by stressing the importance of cooperation with the Arab authorities, because ACAP is the first address in land and housing issues. He underscored the importance of coordination and cooperation between the professional and public spheres. 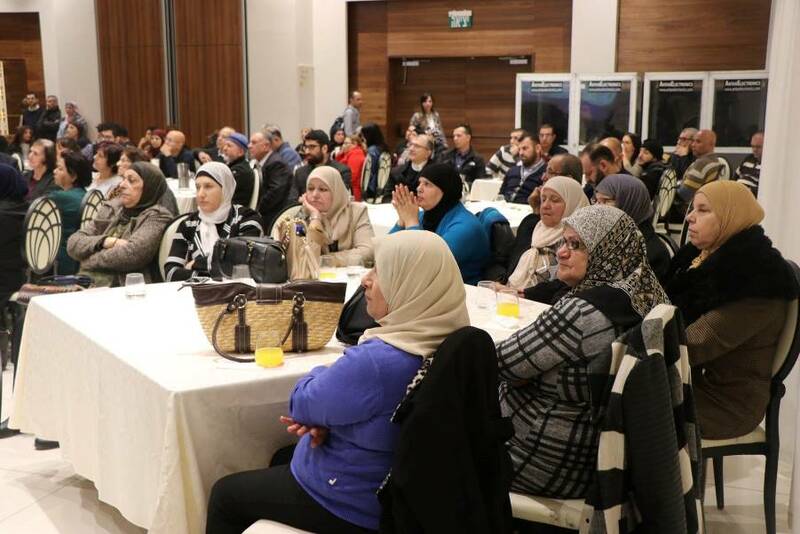 ACAP’s annual meeting is an opportunity to publicly present all of its activities and efforts to enhancing our social struggle through sumud, or steadfastness, using scientific and professional tools, and following up on relevant plans and policies. 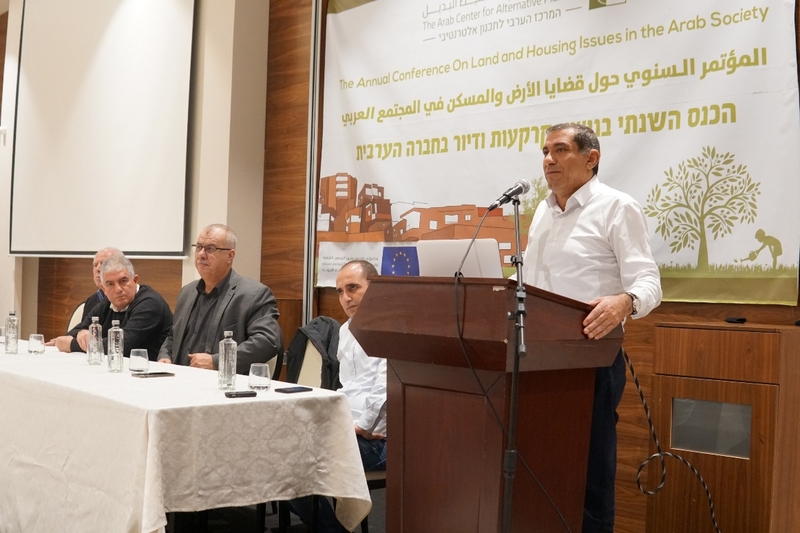 Currently, the Arab community is facing the threat of demolition policies, and we understand how the damage caused by one house demolition extends beyond the inhabitants of that house to the entire community. Local authorities must defend our survival and existence, and reinforce them using professional tools, follow-up, and the determination to secure our rights. We want professional planning work to be energized and supported by other groups, and we stress the promotion of grassroots organized action alongside the struggle of professional pathways, to enhance the role of professionals and strengthen their demands. 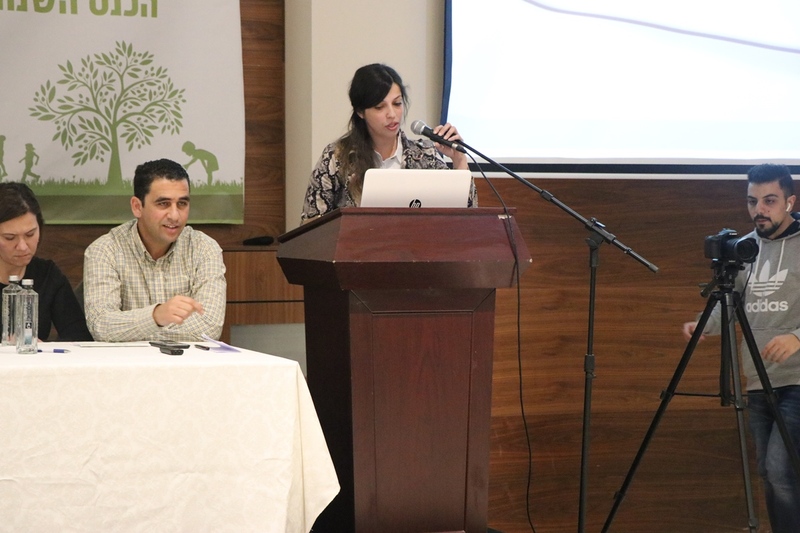 In the second session, entitled "Challenges and Obstacles in Government Solutions to the Housing Crisis in Arab Towns", Raneen Odeh of ACAP presented a professional summary of the Urban Renewal Project sponsored by the Ministry of Housing. 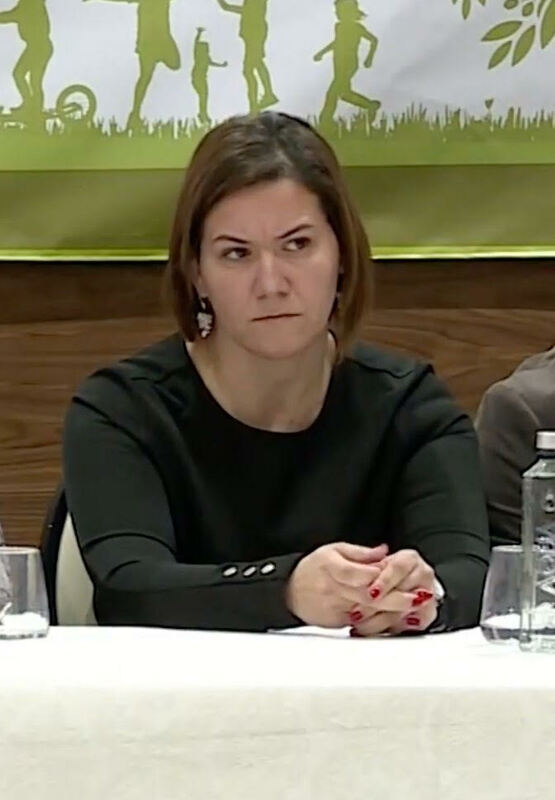 She explained the details of this project, also known as Tama 38, and the possibilities of working within the Urban Renewal framework, to develop and renovate old residential areas, improve public utilities, and reinforce old buildings to withstand earthquakes. 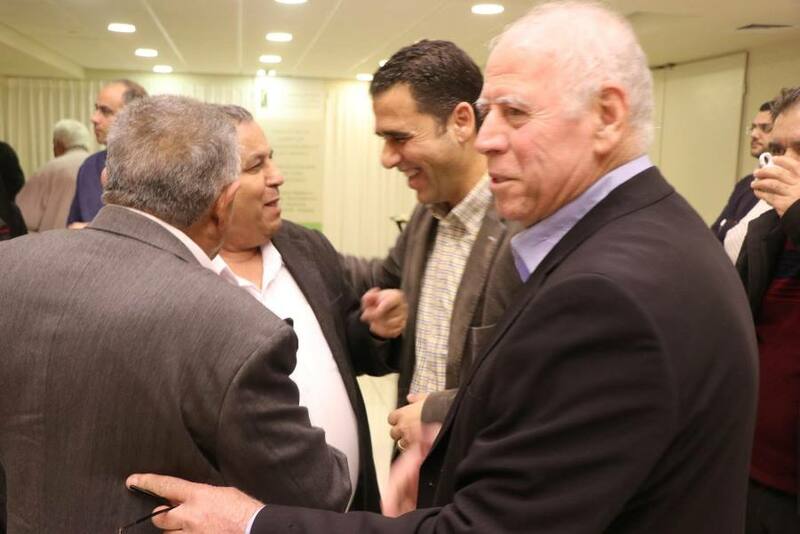 Odeh spoke about the "eviction and construction" phase of the project, in which old buildings are demolished and rebuilt in a modern fashion that helps to improve the living conditions and well-being of the population. Finally, she stressed the need to inform local Arab authorities about these projects and examine the possibilities for implementation in Arab towns. 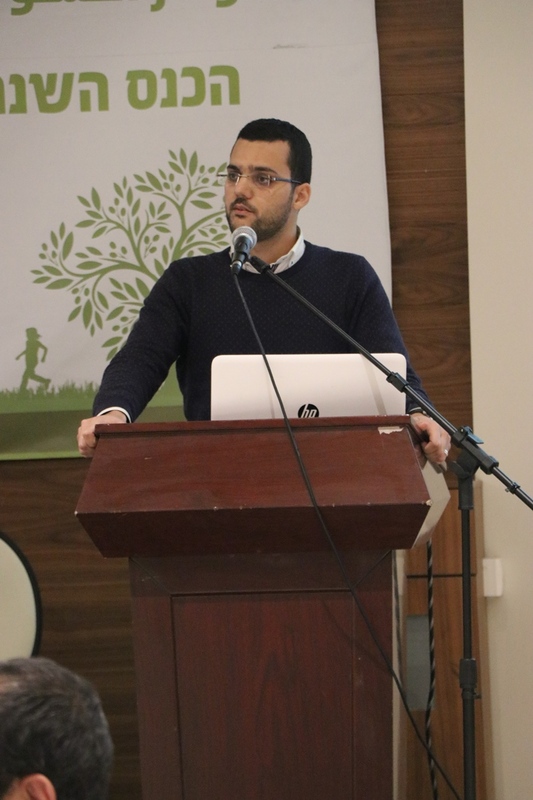 ACAP Attorney Jawad Abu al-Hija spoke about the government pathways to housing support, and the disproportionately inadequate budgets allocated to the Arab community from huge state budgets. He also presented data on the eligibility criteria and procedures for accessing government financial assistance, asserting the need to raise awareness among members of the Arab community to harness and exercise our rights in this realm. Systemic suffering and persistent neglect! 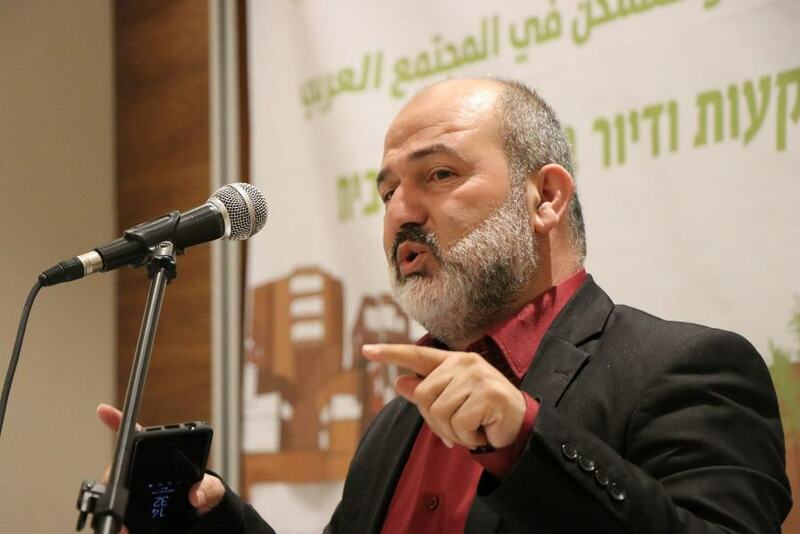 MK Abd al-Hakim Hajj Yahya of the Joint List addressed not only how discriminatory government policies have fundamentally shaped the planning situation in Arab towns, but also how revisions and modifications to these laws and clauses continue to exacerbate injustices in planning. Hajj Yahya emphasized the need for national housing project plans that can be adapted to fit the needs of Arab communities, and can be implemented without disrupting our way of life. He spoke also of the need for simple solutions or schemes to legally incorporate the large number of unlicensed homes. Additionally, Arab towns experience significant delays in the realm of land and planning because of the difficulties in obtaining legal construction permits, which exacerbates the housing crisis and, therefore, human suffering. The Arab minority in the country suffers from persecution in all areas. 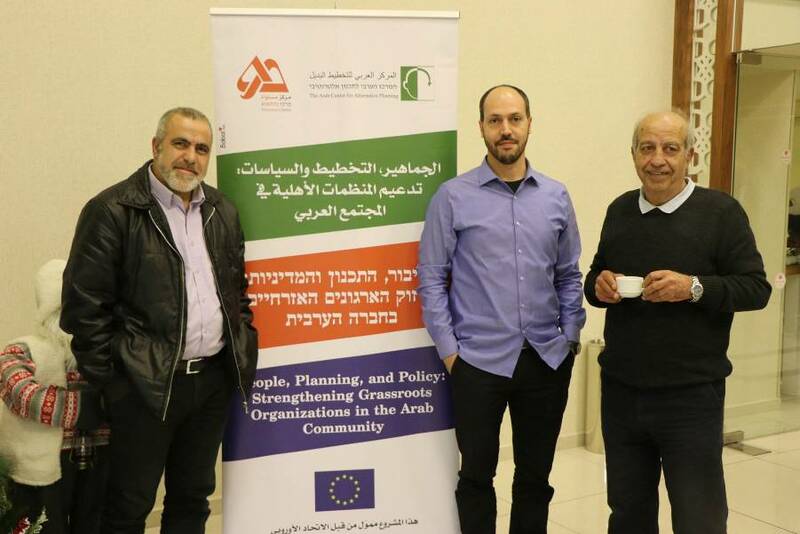 In the realm of planning, Arabs suffer from a lack of representation within the National Planning Council. 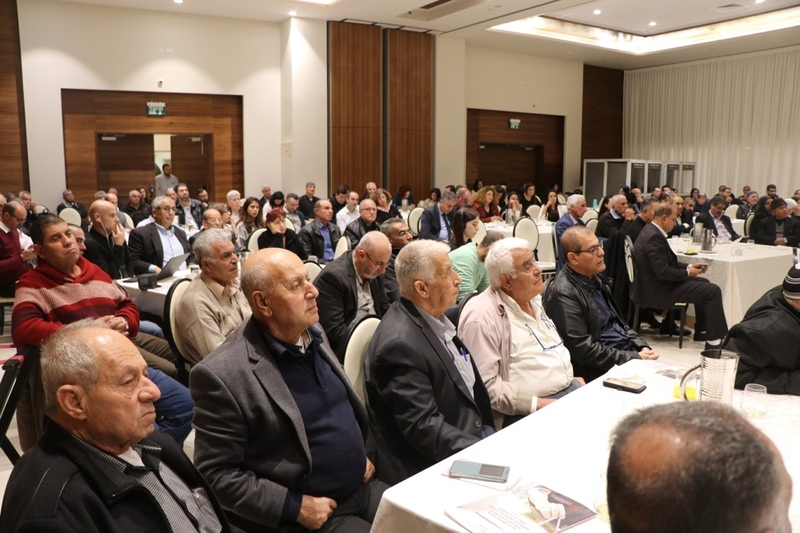 Arab towns are beholden to the authority of regional committees, and this significantly undermines the ability for Arab local officials to exercise agency over their own planning. 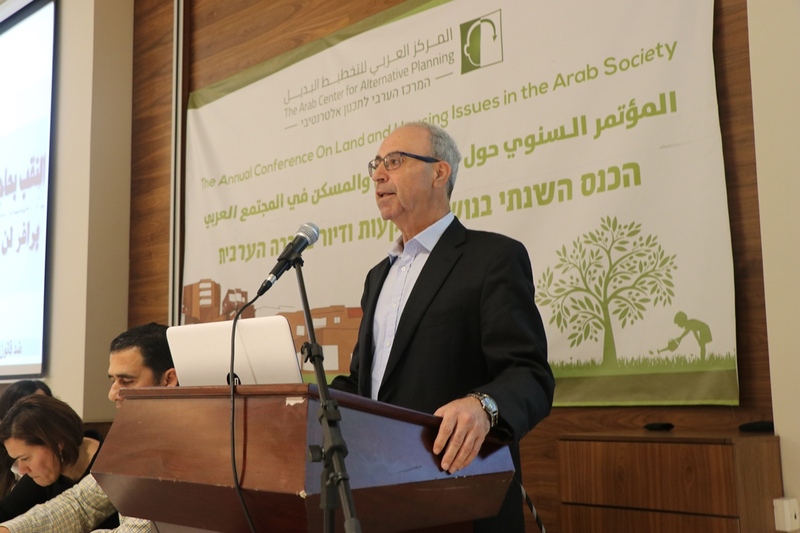 In terms of construction, Arab citizens are excluded from accessing state-owned lands and instead build on their own land, thereby limiting the potential to build sufficient housing and infrastructures for Arab communities. 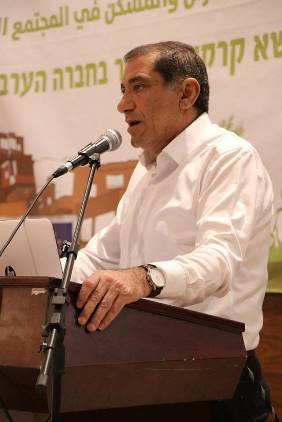 As for the Naqab, the recognized regional councils of Neve Midbar and Al-Kasom are being continually squeezed while the Jewish regional councils control vast areas comprising millions of dunums. He referred as well to the new sections of Route 6 extending into the Naqab, and the control of the so-called "Bedouin Development Authority" over all aspects of the Naqab's Arab population, particularly the policies of displacement and uprooting. 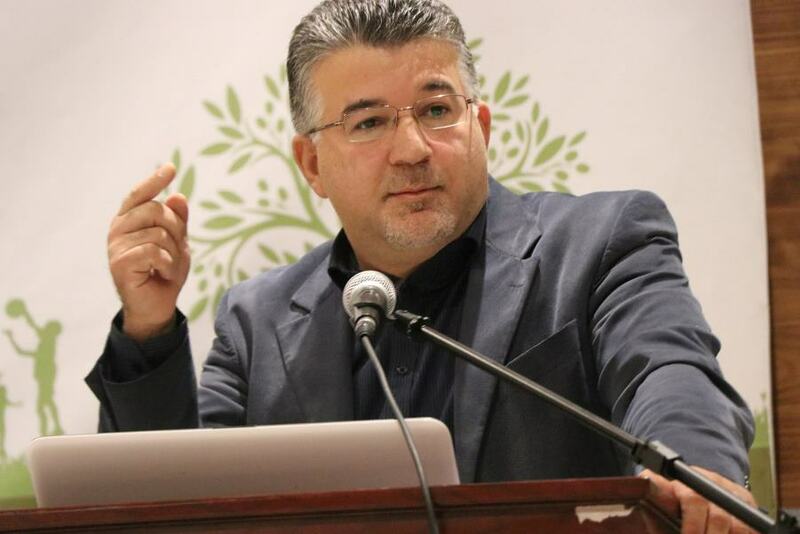 In his summary, ACAP founder and head Dr. Hanna Swaid stressed the importance of finding real solutions that contribute to solving the crises afflicting our Arab towns. 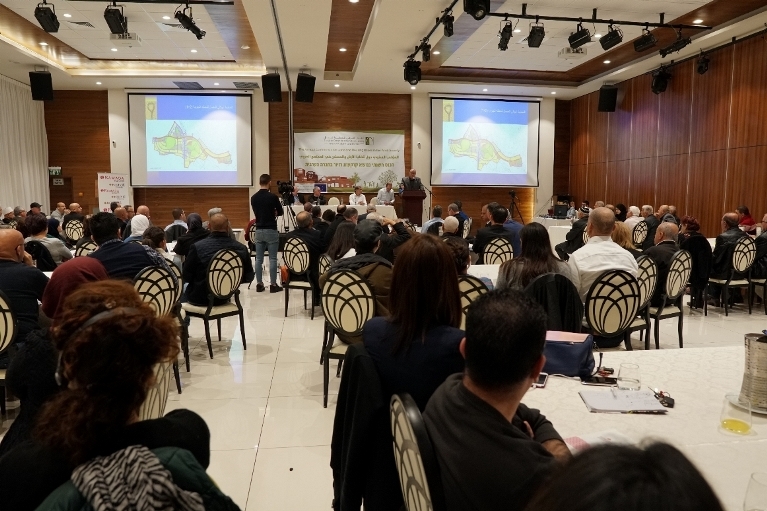 One possibility is to study urban renewal projects and examine the feasibility of implementing them in our Arab towns, as well as to maximize budgets managed by the Ministry of Housing to help alleviate the housing and traffic crises experienced in our Arab towns. Dr. Swaid also emphasized the need to seize upon and exercise our rights within the context of government projects. 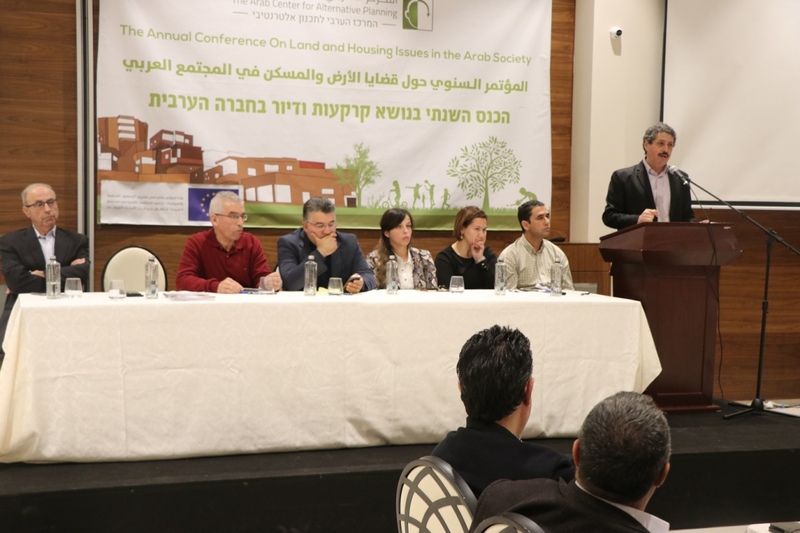 It is unacceptable that a budget of NIS 6 billion could be allocated towards housing, with only a negligible margin of these billions going towards Arab communities and towns. 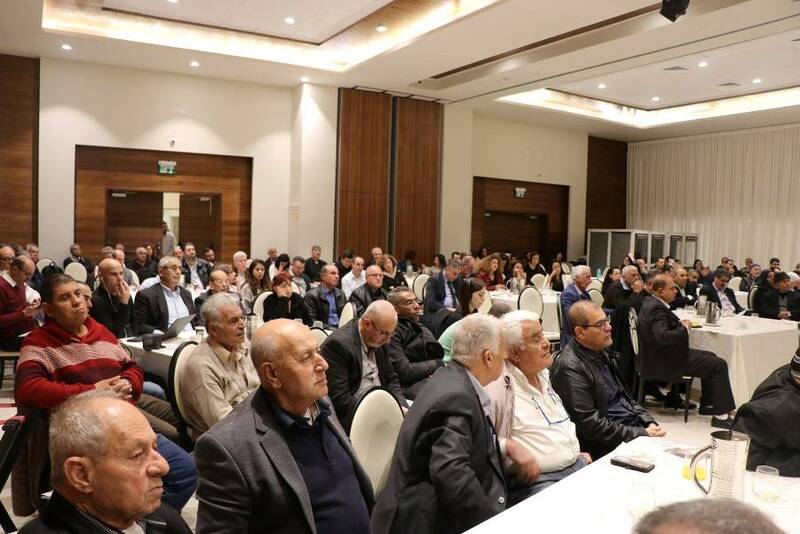 He also noted that the types of housing plans and projects that can be applied in large cities such as Nazareth and Nablus cannot be applied wholesale to small villages and towns. Therefore, we must commit to adaptable approaches towards housing projects that take into account and suit the particular and unique needs of each of our communities. 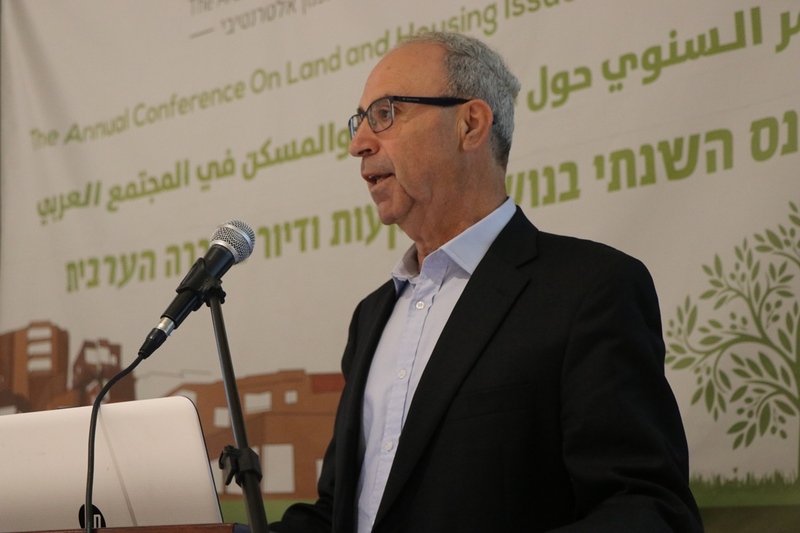 Dr. Swaid touched upon exclusionary public housing projects that overlook and disadvantage Arab communities: only 0.3% of public housing projects in Israel are located in Arab towns, while there are also significant conditions and restrictions impeding low-income families from accessing support grants in order to finance home rentals. He pointed as well to the emergence of terminologies and policy-oriented jargon for Arab towns—the most prominent being the “concentration of construction in residential areas”—which increase the distress and suffering of Arab towns at the hands of widespread government neglect across various departments and ministries. 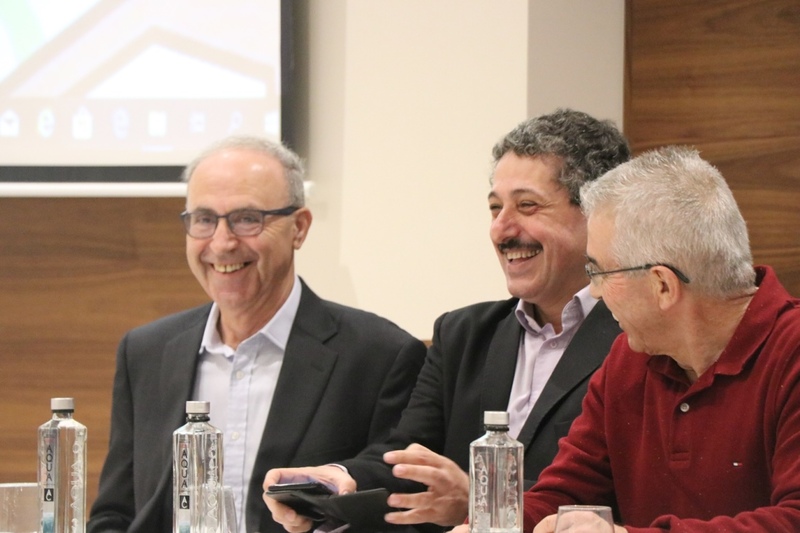 The number of housing units in already overcrowded areas cannot be doubled or increased, and therefore local authorities must initiate challenges to these policies. The conference concluded with a number of contributions by attendees and members of public committees that once again highlighted the importance of convening and investing in efforts to hone professional expertise and public knowledge, in order to develop and strengthen partnerships between all groups and institution. Such cooperation is essential in order to harness and mobilize our rights, and to secure budgets and development projects that can meaningfully improve the conditions of Arab towns and, subsequently, further the advancement of our society.